COMMENTS: I have tried a lot of peppermint fragrance oils and this is my favorite. Nothing extra...just peppermint, if that is what you are looking for! COMMENTS: Smells just like candy canes, it's a very strong fragrance and easy to soap with. Great scent for winter. "CAN'T wait to use it! Smells absolutely WONDERFUL"
COMMENTS: I just received this fragrance and it smell even better than I thought. Read reviews about how it smelled just like peppermint candy but this is unreal, I LOVE IT!! COMMENTS: Smells like candy cane! Can't wait to use it. COMMENTS: Used this fragrance oil in a Christmas themed soap. Gave me no problems. It smells just like peppermint candy. My husband even remarked that it smelled good, and he hardly ever comments on the fragrance oil that I use. COMMENTS: We compared this scent to 4 others in wax melts and this was a clear winner. I mean it clears our nasal passages while you are mixing the wax with the FO so you know it is potent. It is more expensive than others, but so well worth it. "Smells exactly like a Candycane"
COMMENTS: I got this for Christmas gift baskets and made a batch of cold processed soap and sugar scrubs and this performed excellent. I’ve made three other batches of peppermints soap using other fragrances and essential oils; they was ok but pretty bland and their scent faded dramatically as they cured. This fragrance on the other hand has a long lasting deliciously vibrant cool sweetness that everyone in my house loves and my granddaughter asks me to let her smell them a dozen times a day. I ordered 8 ounces but I’m going to need a lot more just to fill the orders for my family and friends that are begging me to make them a whole batch each. COMMENTS: This is a sweet peppermint fragrance, rather than an herbal one. It blends well with other scents. Works well in CP with no discoloration. I used it as a Christmas scent. It is refreshing. COMMENTS: Really like this fragrance! It smells like peppermint ought to smell, behaved well in the soap and holds up well after the soap has cured. Was thinking of trying the other peppermint scents but I like this one so well it may be awhile before I do! COMMENTS: Love this peppermint fragrance. Soaps perfectly in cold process with no acceleration, ricing, OR discoloration! It's taken us a while to find a good peppermint scent that doesn't discolor! So glad we found this one. A best seller during the holidays! "Smells just like the candy"
COMMENTS: Moves slowly, plenty of time to swirl the red into the white, excellent fragrance retention, I sell it year round. COMMENTS: I love this peppermint! I’ve tried their peppermint cream, peppermint candy, and peppermint stick. And Peppermint stick imo is the strongest and the best one. AND it’s 100% lip safe and makes a fantastic lip balm, and soap of course. COMMENTS: Loved this in a candy cane themed soap. The scent is really refreshing, and I may use it all year, instead of just for Christmas. COMMENTS: Smells like the real thing, now I just have to find a red to match! COMMENTS: if you were to close your eyes and open the bottle you would say there were real peppermint sticks in your face. its strong but not overly. I sold out of the wax melts in two days. I will be soaping this one in the next few days. COMMENTS: This is already becoming a big selling item for me...waiting on you guys to restock so I can buy some more! COMMENTS: Finally a peppermint true to name....love this one, will keep it in stock...thanks for hitting a home run with this one. COMMENTS: Based on the reviews I thought this one would be great, but it is just ok. I have had better peppermint fragrances and I had to add peppermint eo just to get some minty scent. very light scent based on usage. Probably better in lotions, scrubs, etc. Overall it behaved well with no discoloration, ricing or acceleration so that was a plus. "Straight up in your face peppermint." COMMENTS: What else can one say. It is super crisp, strong with that slight sweetness that we love. I make para-soy melts so its all about the throw and this one has it. It is also a great mixer. I keep a pound on hand at all times. COMMENTS: Really close to the real thing!! This fragrance oil smells stronger than the peppermint candy fragrance!! I will stick with this one for my holiday peppermint soaps! COMMENTS: This is the perfect peppermint fragrance. Spot on. "It smells just like a delicious Candy Cane"
COMMENTS: I was looking for something that reminded me of Christmas. This Peppermint Stick fragrance is right on the mark. After making a batch of soap with this oil, I realized the purchase was well worth it!! 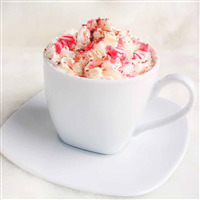 Just the right amount of sweet and peppermint brings back memories of decorating the Christmas Tree with candy canes! "Love this peppermint stick fragrance"
COMMENTS: This is a really good fragrance. We use this to mix with many fragrances for the holidays. It' a really good versatile fragrance. COMMENTS: Smells so good. Be careful in soap, it can cause some sensitivity in the naughty bits. COMMENTS: This is hands down, my absolute favorite peppermint fragrance! It really smells just like a candy cane and the scent doesn't fade! Behaves perfectly in cold process, no ricing, separation, acceleration and no discoloration!! Will definitely order this again, please don't ever get rid of this!! "I love this fragrance - smells wonderful"
COMMENTS: This is a must to use in your bath bombs or bath salts. Smells like sweet peppermint mints. My customers love it. COMMENTS: This is a great scent for the holidays! COMMENTS: Oooooh, it's strong! This is a fantastic mint, with just a touch of sugar to tone down the cold blast of menthol. A little goes a long way, and it really holds its power well in melt and pour. I haven't tried it in cold process yet, but hope to soon. I love it! • True mint scent - like EO! • Maybe just a touch more "sweet"? COMMENTS: I like this scent and will be ordering it again. Its a nice light, not overpowering, peppermint scent. "Lovely smell, easy to work with!" COMMENTS: This FO was fun to work with. It did not accelerate or decelerate trace, it did not rice or seize. The scent lost some of it's power after cure in CPOP and cold process soap, but it still smelled like a candy cane. I would order again. COMMENTS: Smells divine. bought the peppermint bark kit and my co workers absolutely loved them. have to order more for my craft show. "smells like a candy cane"
"Perfect scent for Christmas "
COMMENTS: This scent is perfect, not too strong but just sweet enough. A great replacement for peppermint essential oil that can be irritating to skin if used in large quantities or sensitive skin. The smell is spot on! COMMENTS: This is a really good peppermint - not too sweet and not too camphorous. I like that it can be used in lip products, too. This is a strong scent, but delicious! Perfect CP soaping - no acceleration, discoloration or ricing. Highly recommend this fragrance oil! COMMENTS: Love this fragrance oil! It is minty, with a hint of sweet. Smells just like those butter mints that you find at those fancy restaurants. My customers love this, and it is a best seller that never lasts long on my shelves. Will be re purchasing at my next order. • Scent last for a long time. COMMENTS: This fragrance is seriously amazing and my customers can't get enough of it! I started off using this for a peppermint sugar scrub and it flew off the shelves. I now use this fragrance in soap, bath bombs, and body butter and it's always a huge hit year round! COMMENTS: This is a good one to have at Christmas time.The oils also work in the little wax burners,just add a few drops. "Smells Exactly Like Candy Canes"
COMMENTS: Like other reviews have said, I don't imagine needing a ton of this fragrance for my soap batches, it's definitely strong! But with that being said it smells exactly like the peppermint candy canes you would hang on your Christmas tree. I can't wait to try this out! COMMENTS: Perfect for all of my Christmas projects. I love it. COMMENTS: I used this fragrance for my "winter" themed products. This had a very pleasant peppermint smell and a little bit goes a long way. COMMENTS: A little goes a long way ! Very strong fragrance and it has good lasting power even after a few months. Great for sugar scrub bars and foot soap with embedded luffa slices. COMMENTS: Used this to do a couple test bars using the WSP peppermint candy M&P bars recipes. came out wonderful and the FO really lasts. it is a very strong peppermint scent, a little goes a long way. COMMENTS: I used this for peppermint sugar scrub and it smells SOOOOO good. everybody loves it. COMMENTS: Love it! A customer favorite and must have for Christmas choice for kids and adults! COMMENTS: Smells just like the name! Scent holds up well in CP soap and smells very good. "A great scent to use at Christmas!" COMMENTS: However, I think this is also a wonderful peppermint fragrance that can be used all year long. It just has a slightly sweeter smell than a regular peppermint fragrance would. "REFRESHING - GREAT ALL YEAR ROUND! YUMMY!" COMMENTS: I specifically ordered this for one client who ONLY wears Peppermint. She LOVES it! Bought every product I make with it and now I need to make more for her! The fragrance lasts well in CP - I could actually smell it on her when she came to visit. People LOVE it all year round despite the fact that it may generally be considered a "holiday" fragrance. This is quickly becoming part of my regular line! COMMENTS: At first I was a bit skeptical since so many products claim what they don't deliver, not so with the peppermint stick fragrance. Neither me nor my clients can get enough. One of your best products! COMMENTS: This is a very strong smell so I did use quite as much as the recipe called for. I like the scent so I'm glad I purchased but will probably stick to using it more around the Christmas holidays. COMMENTS: THE peppermint you want for the holidays, more mint than sweet, so good, I keep it all year! COMMENTS: A wonderful product with a refreshing and revitalizing scent. I love to use it when I make soaps or use it as an essential oil. "Very good scent with a true peppermint scent"
COMMENTS: I have a client who buys ten bottles of lotion a month and my previous supplier discontinued their peppermint fragrance so I switched to this one. I was worried when I first sent them to her but as soon as she got them she said it was even better than the old scent. I am a big fan of this scent and buy it now in a big bottle. COMMENTS: It smells like Peppermint. Very refreshing. COMMENTS: Very much a peppermint - and strong. Great for use in CP soaps. "Good but not like candy"
COMMENTS: Good Peppermint scent - holds well in MP soap but I was hoping for more of a candy cane scent. 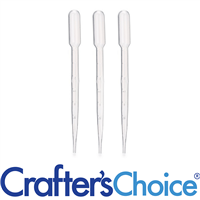 "Very happy with this scent"
COMMENTS: Smells really nice and holds up well after cure. No acceleration or discoloration. COMMENTS: With so many peppermints, I couldn't decide which one to try. Bought this one based on the reviews. So glad I did. Love the cool fresh minty scent with slight under tones of sugar. I mixed a little of this scent with a holiday candy scent in a swirl then top off with peppermint stick. Its candylicious. I also made a CP soap with just peppermint stick. Has great cold throw even in soap. I need another bottle. COMMENTS: It is a very nice peppermint candy smell in CP. Not everyone loves peppermint in their soap, but those who do, really like it well. Definitely a holiday scent. I made a red and cream swirl in round bars. COMMENTS: Sweet and minty at the same time. The name says it all. Perfect for bath bombs and melt and pour. COMMENTS: What is the season without peppermint! I made ribbon candy soap and the kids loved it...the scrubs and bath bombs were equally well received. COMMENTS: Use in cp. Great scent. Close to real EO. Will buy again. COMMENTS: So I tried peppermint stick fo as well as peppermint candy. I think the peppermint candys acceleration was slower, but this fo is definitely stronger and is not fading as quickly. COMMENTS: This fragrance smells wonderful. I have used it in a loaf mold by swirling white MP with red MP base to make it resemble peppermint candy. I've also made it in the "Happy Holidays" molds and it looks wonderful. The scent is very refreshing and fragrant. It performs well and is very popular, especially during the holidays. would definitely order this one again. COMMENTS: Used this last year at Christmas and sold out completely. Everyone loved it! COMMENTS: This has become a huge favorite with my customers! Will be ordering again! COMMENTS: Very nice true peppermint scent. Great for soaps, shampoos, sprays. COMMENTS: Customer favorite for the holiday season. Will make again this year! COMMENTS: Just like the peppermint candy. COMMENTS: This scent is true to its name. I used this in a sugar scrub in the morning as a extra wake up call and it does the job. The smell is long lasting and invigorating the way peppermint is meant to be. "Wonderful seller for Christmas time"
COMMENTS: This is a perfect peppermint. Will order again. Made red and white striped soap in a loaf mold. It was very cute. COMMENTS: This wasn't as sweet as I thought it would be when I ordered the sample. But, now that I have smelled it & used in melt & pour soap, I'm glad! It is so refreshing and has that sharp cooling effect when sniffing. I think that it will be a very versatile peppermint. COMMENTS: I used this in cold process soap and it came out perfect. No problems at all. The scent is strong and smells just like candy canes. I was very pleased and will be back for more. COMMENTS: This is the best peppermint I have ever purchased. It's very refreshing in my salt scrubs. I have to warn my customers before they open the jar because it's so strong. They love it! COMMENTS: I love this peppermint FO. It works great in lotion, Cp soap and scrubs. If I am not using pure essential oils for peppermint then this is the FO I use. COMMENTS: Absolutely love this Peppermint FO! It is awesome and my customers love it!!! COMMENTS: I will be buy more of this one. I sold out the first time I made it in to soap and candle. Do not pass this one up. COMMENTS: Who doesn't love peppermint, especially at the holidays? I make little hand soaps with this, and I can't keep it in stock! Same with the sugar scrub, and I'm going to try using it year round. COMMENTS: Great peppermint scent that didn't fade during cure time. "CC Peppermint Stick Fragrance OIl 540"
COMMENTS: I've already used this in two different scents of soy wax melts - it worked like a dream and everyone who sniffed it wanted to EAT it. I'll be using it in some batches of bath fizzies and foot soaks and know it will perform as wonderfully as it did in the melts. Thank you to all the reviewers who wrote about this product - you were the deciding factor in my purchase of it! COMMENTS: I love the smell of this FO. True peppermint candy fragrance. I just love the smell of peppermint. Will be using to make my holiday soaps, butters, and washes. Made a test sample of body butter using the FO and I couldn't be happier. I will definitely buy this FO again. COMMENTS: I make bath fizzy, and this is a great peppermint fragrance, not to strong and the customers really like this fragrance. "So yummy! Soaps like a dream!" 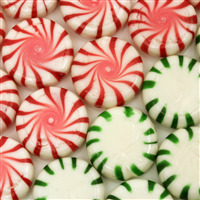 COMMENTS: This is a wonderful peppermint, sweet enough to be candy cane, but not sugary. A little will go a long way, as I used .5 oz ppo, and my whole house smells like a big candy cane! Soaps wonderfully, and so far no discoloration! COMMENTS: I have made three designs of soap so far using this fragrance oil. It is perfect to work with, doesn't discolor, and smells great. I will order this again next year. COMMENTS: This smells so unbelievably real. It smells great and just like the real thing. It also is a very strong scent, and will fill your entire house up. I love it. COMMENTS: Smells just like a candy cane. "Powerful - in a good way!" COMMENTS: There is no mistaking the scent, people know exactly what it is. I use it when making my white snowflake soap - adults and kids love it. COMMENTS: Very true to it's name! This is great mixed with other scents. I will be getting more! COMMENTS: My husband loves this scent. He came home and thought I had made his favorite cookies. This will be a holiday staple for me. Preformed nicely, no problems. COMMENTS: Love this! So sweet, I wanted to drink it OOB. Will make for an awesome Christmas fragrance. COMMENTS: Not overbearing. Didn't discolor. Don't need a whole lot in melt and pour. COMMENTS: Love this fragrance oil. Smells just like candy canes. My customers love this scent and we make use it in our Goat's milk soap, Goat's milk lotion and lip balm every holiday season. COMMENTS: I love peppermint EO but some customers may not like the cooling effect so this is a great stand-in. I've used it in scrubs and it has staying power and I think it smell strong and NOT artificial. COMMENTS: Strong peppermint, candy cane smell but I can detect some plastic notes when sniffed up close. "Love it - a little acceleration, but I can handle"
COMMENTS: Others have said this soaped like a dream. For me, it did accelerate trace somewhat. I managed it and in fact, I will use it in CP soap again. Just wanted to mention it for those who will use it for the first time. Smells amazing and will definitely be a hit for Christmas! COMMENTS: This scent is fairly strong and a little goes a long way making it a great value. It's cooling and invigorating. COMMENTS: Cool & wonderfully fresh for my 100% milk soaps. No A or D, soaps like a dream. Doesn't morph or fade even after months & months! .7 oz ppo RTCP @ 33%. Back for a bigger bottle! A word of warning, as with all peppermint oils, avoid the eye area as it can make them tingle & water. COMMENTS: Smells like candy cane, but is definitely not an overwhelming peppermint scent. COMMENTS: This is a truely great scent that smells just like a real candy cane! It's sure to be a big hit for Christmas! COMMENTS: Wonderful peppermint candy scent. Smells like candy canes and is very popular. I use this FO in my holiday line and its a big hit. Perfect crisp scent. COMMENTS: Delicious peppermint stick fragrance, makes my mouth water when I smell it. No discoloration in CP soap and behaved well. COMMENTS: Love the peppermint scent in products. Great seller at Christmas time. COMMENTS: Everyone Loves This Scent!!!! I purchased for Christmas products & to my surprise, it has remained a year round favorite! • Everything about this scent! COMMENTS: This is such a great candy cane scent! Customers love this during the holidays. COMMENTS: As close to the EO as I've ever smelled....and as strong! COMMENTS: I use this in my cooling muscle pain cream. I add this along with menthol crystals and several EOs. It gives an added sweet peppermint fragrance. "Smells just like a peppermint stick!" COMMENTS: I love the smell of this scent! It is a great fragrance when you need something that is clear and won't cloud your base! COMMENTS: What a true (and strong) peppermint scent. It is just like peppermint stick candy. Customers love the recipe for Debbie's peppermint scrub. It is a great pick-me-up scent which will be especially nice around the winter holidays. I enjoy working with this fragrance....don't get tired of it. COMMENTS: This was the perfect peppermint I used in all of my projects It was nice to work with and a little goes a long way. COMMENTS: Just like in the description, this FO is a "bright" peppermint. Sweeter than most I have used and reminiscent of Christmas candy canes but will be using it all year in place of just plain peppermint. Had no problems and the scent is still strong in my cp and m&p soaps. Light enough for lip balms and long lasting. Customers would comment how wonderful my boxes smelled before they even saw my soap! COMMENTS: This scent is incredible. Smells exactly like candy canes. "Smells exaclty like a Peppermint Candy!" COMMENTS: One of my favorite Fragrances...Smells exactly like a peppermint stick candy. Holds up in cold process soap with no problems. I just love it! COMMENTS: Excellent peppermint scent. Smells just like candy canes. "Smells great, behaves well! " COMMENTS: I love that this FO didn't discolor my soap. I added zinc oxide to my white portion and it behaved very well. I had lots of trouble with other FO's in this scent, but this brand does the best! Very cool and true peppermint scent. COMMENTS: I love this scent! It is dead-on crisp peppermint! I used it in Cold Process soap along with another FO and it performed perfectly! No ricing, no acceleration! Scent stays! I also used it in a massage cream. Customers LOVE it! "Great for Christmas lip balm"
COMMENTS: I love this in my Candy Cane lip balm! A holiday must have! COMMENTS: Excellent peppermint scent. Smells just like candy canes. I'm using this is my Christmas MP line. COMMENTS: Wow, this stuff is awesome...just like biting into a peppermint patty! Be cautioned, however, a lot of customers took one whiff and sneezed...this stuff is STRONG! Personally, I love the smell of peppermint, so this is a favorite. It just takes another peppermint-freak to appreciate it without blending :) Performed very well in soy. COMMENTS: This is one of my favorite soap scents for personal use. I find it very refreshing. It's a great holiday scent, but I use it year round. It's a big hit. A classic, refreshing scent that everybody loves. "Smells just like a candy cane!" COMMENTS: Love this scent. It smells exactly like a candy cane. Very strong. Only need to use about .25oz per pound oils in CP/CPOP in my experience to get a nice, strong fragrance. COMMENTS: We normally use Essential oil of Peppermint for our soaps, but for the holidays we add some of this fragrance for a super holiday'ee soap. Very happy, crisp and true to a candy can, and not too sweet. COMMENTS: This smells just like a candy cane, sweet and minty. It is perfect for all applications - soap, lotion, lip balm, bath salts. It would also make a lovely scrub! You can't go wrong with this fragrance oil! It's a winner! COMMENTS: Bite off a candy cane and you'll have this scent...yummy! COMMENTS: used it in CP soap cupcakes and did beautifully. will be ordering again just like Christmas in a bottle. COMMENTS: This is definitely one of my best sellers in my soaps! I love how fresh and yummy it smells! I like mixing it with Eucalyptus EO also. I highly recommend this fragrance! "Strong peppermint, just what I expected." COMMENTS: I just made a batch of CP. It's still curing so I can't speak for its staying power, but I just wanted to give a warning... I had this in a wooden mold insulated further by being wrapped in thick terry cloth. When I went to unmold, I discovered that a soap volcano had happened due to the overheating. I would suggest putting this one in the fridge or freezer for a bit after pouring. I'm pretty new to soap-making, so maybe this is a well-known thing for peppermint FO, but it's the first time it happened to me. "Wow a little goes a long way"
COMMENTS: I must say, I'm pleased beyond expectation. This is more than an ordinary peppermint. Super easy to CP. Plenty of time to do tiger stripes (of red and white of course! )Perfect scent to spread some Christmas cheer!!! COMMENTS: The Peppermint Salt Scrub is so popular and smells heavenly with this fragrance! It's just perfect! A container of the salt cubes with this fragrance just flies off the shelf. And with hot water in the shower the fragrance is a real experience. No wonder customers love it so much! "Exactly like a peppermint stick!" COMMENTS: I just made a batch of lip balm with this fragrance and it is perfect for my Christmas baskets. Really looking forward to adding it to some body scrubs. I'm sure I'll come up with something else I have to make with this scent before the holidays. It's just a fun fragrance. They really hit "peppermint stick" right on the nose. COMMENTS: Out of the bottle this smells like a nice, sweet candy cane with a subtle vanilla or candy smell. We found it to be very minty without being too harsh or biting. We made peppermint candy CP soap with red mica swirled in it and it came out beautiful. We finished it off with a light sprinkle of red mica on the tops of the bars and they are very festive and smell fabulous. Everyone who sees them has liked the pretty red swirl and has closed their eyes and said, "Mmmmm" when they sniff it. Wrapped in a little organza bag and tied with a red ribbon and a small candy cane, these would be the perfect Christmas gifts or stocking stuffers. We used it at 4%. It is not too strong for us, but you might want to experiment with it if you are sensitive to mint. This would also make a nice foot scrub or foot lotion bar in a festive Christmas shape with a red swirl in it. COMMENTS: The best peppermint fragrance, hands down! Smells amazing - the whole house smelled deliciously minty while I was making soap, but wasn't overpowering. Customers already love it because the fresh scent gives the illusion of having a cooling effect - and it even gently clears up the sinuses a bit too! I will be bringing this through our whole product line. Best peppermint ever! COMMENTS: I recently found a remnant of a batch of xmas soap I made last year. It still smells terrific. It is a sweet peppermint just like the candy. Obviously holds up well. I don't recall it acting badly during process. 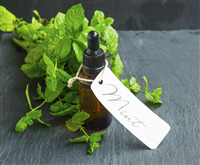 COMMENTS: Peppermint is always a popular scent for the holidays, and soap made with this fragrance oil will go to my Soap of the Month customers this December. It worked well in my cold process soap. I added a swirl of red oxide and neon tutti fruiti dye powder for the expected candy cane coloring. I like that the scent isn't quite as sharp as pure peppermint essential oil, but it still has the sweet peppermint fragrance that one would expect at Christmas time. "A must have in your scent collection!" COMMENTS: Not just for the Christmas season, but for all year! Excellent in sugar scrubs also! COMMENTS: Smells just like peppermint stick candy. Great OOB. Can't wait to soap with it. COMMENTS: This scent smells just like a candy cane with a touch of vanilla added to it; works great in my layered bath salts and holiday soaps! COMMENTS: Must try on its own and blended with Chocolate. Good hot & cold throw. COMMENTS: Wow! Very strong peppermint scent! (Not like a LifeSaver mint, but more like an Altoid's!) I agree with others - a little goes a long way. 2% in my MP soap left me with a tingling sensation, but not the rest of my family. However, I too would cut it back to 1%. My 12 yr. old daughter thinks it "smells amazing", but even my 14 yr old SON wanted to try it and said it smelled good enough to eat! COMMENTS: I smelled a sweeter peppermint candy elsewhere but it contained vanilla. This is not quite as sweet though it is still have a sweetness to it and not straight peppermint. Not having the vanilla in it will make it a lot easier to work with. Think I will stick to this one as opposed to the other. COMMENTS: A little goes a long way with this one! And it is so true and refreshing. I'm not really even much of a peppermint person but you can't help but love this one. I used this scent in lotion and roll-on perfume for a holiday line. The lotion is a complete hit! COMMENTS: You couldn't ask for a better scent!!! I made some little Teddy Bears using this fragrance and boy do they smell good!! I am putting it in several of my Christmas Soaps as I am sure it will be a hit. Nice strong Peppermint but fresh. LOVE IT!!!!!!!!!!!!!! COMMENTS: Customers love this scent. It held up well in CP, and smells divine in lotion bars. COMMENTS: Smells like a very invigorating minty candy cane. I made a sugar scrub for the holiday season and had to add a "Do not eat warning.." LOL. 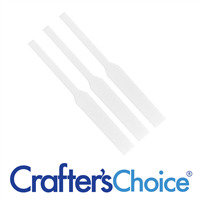 I really love this company! COMMENTS: Listen to the reviews on this one, it is strong. I made MP soap with this and started with 2.5% fragerance. I sampled it in my own shower and it made my eyes water. I ended up melting it back down and adding more soap base to it. Now it's perfect!! It really is a very crisp and yummy scent, I love it!! COMMENTS: This is strong and fabulous! It's so minty that your nose will get a tingle. Has just a touch of sweetness so it smells just like the candy. COMMENTS: This is what I have been looking for without having to pay the price of an EO! Snappy and fresh, a good morning soap! COMMENTS: This smells just like candy. I used it in soap, lotion, and scrub...everybody loved it. COMMENTS: Love this fragrance in lotions, especially for the feet. I'd stick to the lower end of the usage guidelines (1%)...I found at 2% in lotions, leaves an icy-hot tingle to the skin, which fades after a few minutes...can be pleasant on tired feet, but raises a few eyebrows when slathered on head to toe!